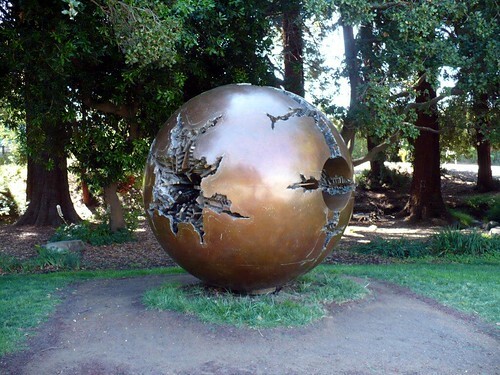 Sphere Within A Sphere (Italian Sfera con sfera) is a strange looking sculpture made out of polished bronze and depicts a large damaged sphere fitted inside another larger sphere with torn surface. 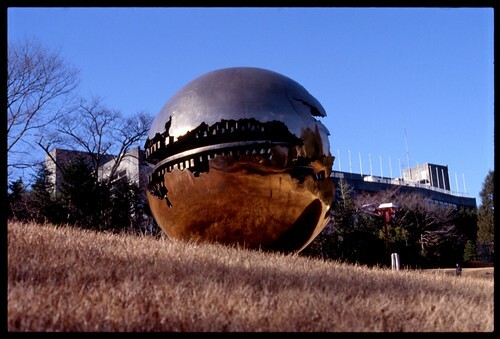 Created by Italian sculptor Arnaldo Pomodoro it was first installed in the courtyard of Vatican Museum in 1990. 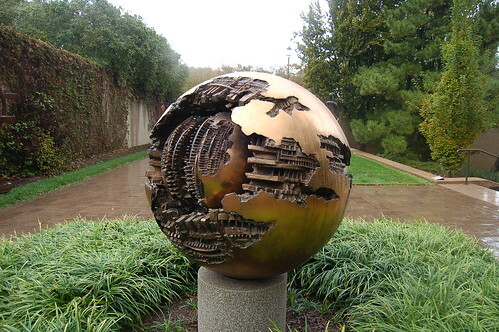 Thereafter replicas of the sculpture have been installed in several locations across the World. Currently it can be seen at following locations. "our world aging, changing and breaking wide open with a new and emerging one with all of it’s glorious imperfections demanding to be heard" - A blogger. Some more lengthy analysis on the subject can be seen in this Flickr page and in this web page. I am giving below images from several locations and leave it to my readers to make their own interpretation of the art work. 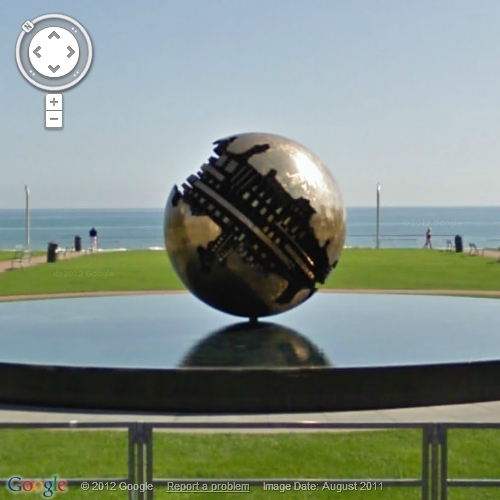 This posting states that replicas of the sculpture have been installed in several locations across the World. 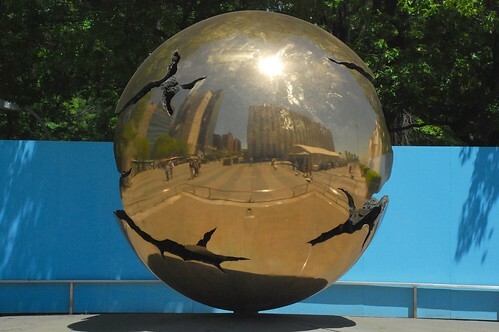 However, all spheres look different to me. 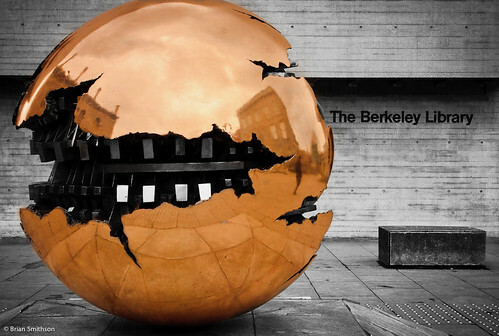 Is it possible that each one is a unique sculpture? The four spheres shown in Wikipedia page look identical. The viewing angle and reflection on the polish surface will make these look different.